As the calendar turns from April to May, perhaps the biggest surprise in all of baseball has been the batting performance of Colorado Rockie Tyler Chatwood. With an on-base percentage of 1.000, Chatwood is tied for the major league lead– and, a tribute to Chatwood’s extraordinary batting eye, neither of the players he’s tied with has walked even once. This flawless performance by Chatwood was hinted at last season, when he went 2-for-3 with two sacrifice hits in five plate appearances. And, indeed, his 1.333 OPS was among the best in baseball last year. But, without even a single walk to his credit, no one could have been prepared for his amazing performance thus far in 2012. Each of the one times he has been to the plate, he has emerged with a walk. For that, Tyler Chatwood wins the NotGraphs Player Of The Month Award for the month of April. Also, he has one save, which I guess is cool too. 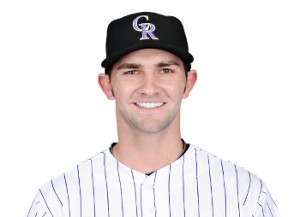 We hoped you liked reading April Surprise: Tyler Chatwood by Jeremy Blachman! A player like this comes along once in a generation.